Deadline extended! 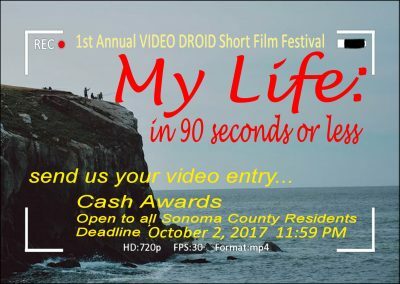 Open call for short video clips- 90 seconds or less…go to http://www.thevideodroid.com/ for more info or to submit your video. Cell phone videos welcome! This project is made possible by a Pop Up Creativity Grant from Creative Sonoma.